← Front cover of the forthcoming book! Some twenty or more years ago I became fascinated with Scottish history and in particular with a people who disappeared from Scotland’s history a thousand years ago. Little known within Scotland and even less known outside, this people, known as the Picts and generally regarded as a Celtic tribe, were frequently linked to words such as ‘mysterious’ and ‘enigmatic’. They seemed to feature little in our historical consciousness, and were all too often dismissed as some sort of barbarian ‘blip’ on the march towards ‘civilisation’. What little I knew about them had been presented by disinterested schoolteachers, who saw fit only to mention the Picts as one of the ‘barbarian’ tribes who harried the frontiers of ‘civilised’ Rome. This fascinated me, taking some pride in ‘my ancestors’ gallantry in resisting the ‘might’ of Rome. This fascination was reinforced by the story (which does not seem to be grounded in any strong evidence) that the Roman’s ninth legion had ‘disappeared’ after marching into Pictland on a mission to subdue the natives. Apart from this, the apparent focus of teacher’s historical interest lay firmly with the civilising influence of the Romans and their attainments within their Empire – ironically given that most of modern Scotland was never part of the Roman Empire. My generation generally learned little of the Celts who inhabited the British Isles, and what we did learn was focussed on ‘the ancient Britons’, often with the assumption that they made up a homogenous people occupying the entire territory currently labelled ‘Great Britain’. If we were fortunate enough to hear mention of the Picts, it was never a positive experience and almost always in the context of the Roman period, where they were usually portrayed as savages attacking the civilised Romanised south. Rightly or wrongly we were left with the impression that these civilised and thoroughly Romanised Britons (although speaking a form of early Welsh) were the ancestors of the modern ‘British’, including the modern English, Welsh, Cornish and Scottish populations. Little attempt was made to place in context the relationship of these ‘ancient Britons’ with their historical, linguistic, and cultural connections to the modern day people of Wales, Cornwall, Cumbria and Southern and Northern Scotland, let alone their more tenuous cultural connection to the much of the modern English population. 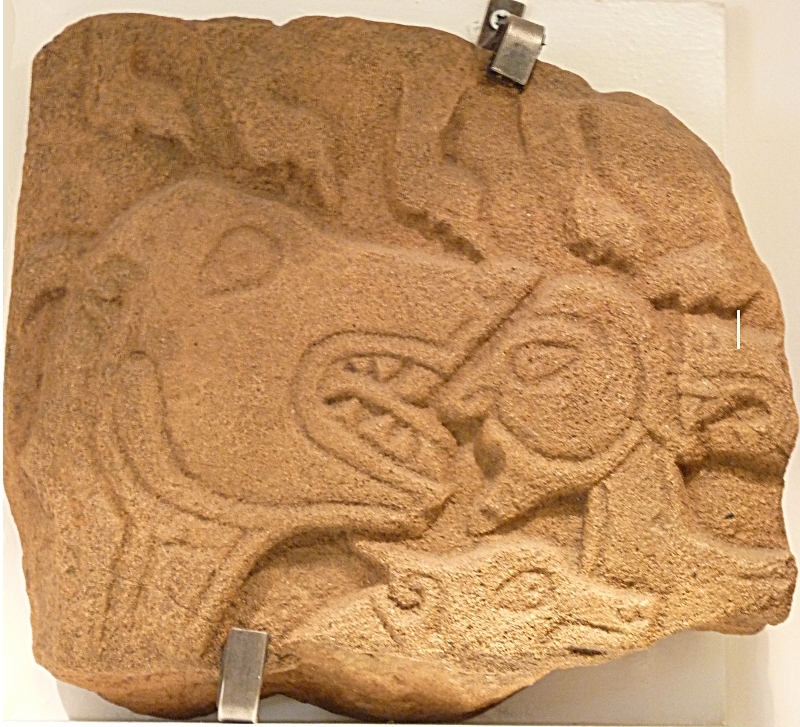 Even less effort was spent in exploring who the Picts were, what their culture was like or what became of them. To generations of modern Scots, the Picts therefore simply vanished from their own history, relegated to simplified footnotes in a greater British history. In school, the period following the demise of the Roman Empire and the subsequent tumultuous events that occurred in Britain were poorly explored. Despite the fact that these events were eventually going to shape the British Isles and lead to the modern identities of Scotland, Ireland, Wales and England. Little was mentioned of the fate of the Picts, the fate of the Romanised ‘ancient Britons’ that we had heard so much about, little on the enormous impact of the Anglo-Saxon invasions (which gave rise to the establishment of the roots of the modern English language and even the name of England itself) and certainly nothing on the Celtic migrations which occurred as a result of these invasions; despite the impact these events had in forging the nations of the British Isles. A disproportionate amount of time seemed to be spent covering that Dark Age favourite – the Vikings, who of course fascinated schoolchildren with the school history portrayal of their bloodthirsty tendencies, paganism and antichristian attitudes – ironically the very antithesis of the reflective, literate Celtic monks on whom they largely preyed. Strangely, there was little said of the cultural context in which the Vikings principle target – great monastic sites in the British Isles – existed, sites such as Clonmacnois, Iona and Lindisfarne, a context that gave rise to some of the finest examples of Dark Age artistry found anywhere in Europe. This artistic achievement, including famous illuminated manuscripts such as the ‘Book of Kells’ and magnificent monumental crosses and other religious artefacts are firmly grounded in Celtic tradition, but this was fact was glossed over, as the Celts seemed to be marginalised. Perhaps the most significant ‘oversight’ in terms of downplaying the role of Celts and in particular the great Irish (and to a lesser extent Scottish and Welsh) monasteries, was their contribution to scholarship in Europe, reintroducing classical learning at the end of the Dark Ages to the ravaged continent, via their numerous continental missions. Generations of Scottish schoolchildren (and presumably children in England and Wales as well) grew up with history stratified into neat blocks with labels such as ‘the Romans’ and ‘the Vikings’, but knew little about the people who worked the land where they now stood. This approach to the teaching of history of course isn’t unique toScotland, or indeed Britain, and I have heard other people from other countries make similar complaints. To be fair, perhaps the failure in the past to come to grips with the history of the indigenous peoples of Scotland could have been due to the lack of information available to teachers, but this is certainly not an excuse in relation to the history of the Scots settlement and emergence of Alba (Scotland) as a nation. It seems to me that school pupils were consciously presented with a version of history that depicted Britain as a homogenous nation, with a shared, seamless historical continuity. Invaders, such as the Romans, Anglo-Saxons, Vikings and Normans were meant to be seen as fascinating contributors to this continuum which would maintain the notion that modern Britain was an ancient ‘island nation’ and not a new nation essentially created in two steps in 1603 and 1707. In such an educational climate, it seems logical that historical events which emphasised this commonality, such as the Roman occupation influence, Viking raids, and the establishment of the feudal system would be encouraged but the very distinct story of the development of the different nations of the British Isles would be deemed less important. So, for example, in Scotland’s case, its development from Scottish, Pictish, Welsh, Viking and Anglian roots, its cultural, historical and linguistic links with Ireland (and to a lesser extent with Wales) would therefore jar with the notion of a ‘British’ nation. This vision of commonality not only served Britain well at home but served the purposes of Empire as well. In the past it helped to reinforce notions that the British were a civilising influence on ‘primitive’ peoples of the world through the modern Britain’s ‘historical’ links to the Romans and therefore classical civilisation. The emphasis on classical culture fitted well with this version of British history, as the British were simply reviving part of their own cultural heritage from the Roman period, and as ‘inheritors’ of classical civilisation, they had a moral duty to expand the empire and assimilate more ‘primitive’ societies. Seemingly at odds with the rather neat model of British continuity, the very idea of ‘Celts’ and ‘Celtic’ seems to have jarred with past historians, and surprisingly, more recently with some archaeologists who reject the whole notion of ‘Celts’ and ‘Celticness’. This is indeed a strange state of affairs when people in large tracts of Britain, prior to the Roman invasion, during the Roman period, as well as in the Dark Ages, spoke languages that are demonstrably Celtic and of course many people in Britain today still speak a Celtic language, notably Welsh and Gaelic. These languages also contain distinctive elements that can also be found in placenames across Europe, including ancient Gaul and are even found in parts of Turkey associated with people the Greeks referred to as Celts. In the past, a conservative British historical standpoint would have no room for historical sources that reminded the various peoples of Britain that they were descended from many different peoples, peoples that the Romans (however unfairly) considered to be primitive barbarians (with the exception of the Romanised Welsh), with three of the most influential groups: the Scots, English and Irish actually originating from outside the Roman Empire. In Scotland, this Celtic influence took the form of at least principally three historically identifiable peoples. During the Roman period, classical historians referred to the country being populated by the ‘Caledonians’. Later calling these tribes ‘Picts’ – a term supposedly referring to the pictures and designs adorning their bodies. By the dark ages, the Picts are seen as occupying all of Scotland north of the Forth-Clyde isthmus, whilst Welsh or Cumbric speaking tribes occupied southern Scotland. Later on in the dark ages, a third Celtic group expanded from Ireland into the West of Scotland, these were the ‘Scots’. If people cared to look at the ancient buildings and monuments peppering the modern Scottish landscape and the archaeological artefacts in the Museums, they would soon realise that from the evidence in front of their own eyes suggested that the Picts were not just primitive foils to the Roman Empire, but that their capabilities speak volumes of a society which was far from primitive – a society which could produce beautiful stone carvings with their own peculiar set of symbols. These symbols have fascinated and baffled that small minority of individuals over the last 100 years or so who have challenged ‘traditional’ views of the Picts. Posted on February 28, 2012, in Pictish History. Bookmark the permalink. 12 Comments. Interesting blog. I was lucky that at primary school my teacher taught us about the Scottish kings and queens and gave me a love of Scotland and it’s history. He didn’t go as far back as the picts probably because, as you say, there was not a lot of information. I was very disappointed with high school history and really I feel that history taught in school serves to disenchant kids from wanting to know the past. My son (21) said the other day that history is really quite interesting, having been put off it at school. Thanks Kirsten. I think kids get a lot more Scottish history and even learn about the Picts now. So hopefully things have moved on! I always complained to my history teachers that I wanted to do prehistoric subjects,and that i found modern human history boring. Which actually wasn’t true, as I later discovered.when finding out more about Celtic history (including the Picts) and Anglo-Saxon history. What I found boring was the notion of Classical Civilisation, the success story of Christianity over the Vikings and anything of what we did beyond first year of secondary; which is anything later than seventeen hundred. It was all interesting in the “I actually find anything interesting that is not economics or politics” sort of way. Thanks James, at least it wasn’t from Carry on up the Khyber! I have a fondness (though no evidence, being a literary and and not a historical person) for the idea that the Picts were non-Romanised Britons. The popular belief in the Middle Ages was that they were foreigners who burst in on the otherwise unified nation, which, as you say, never actually existed. It is also true as you say that people, for some reason, overlook the prolific contribution Celtic monasticism made to the western world. There are several scholarly studies that demonstrate how they preserved the culture and knowledge of Rome like a bridge over the Dark Ages and led Europe into the universities and Gothic cathedrals of medieval times. I wouldn’t say that the Romano-British people at the time of the Picts were Romanised Welsh, as the Welsh as a nation or even group of people didn’t exist until after the fall of the Roman Empire. As I mentioned above, I like to think that the Romano-British (who became the ancestors of the modern Welsh) occupied the south and Picts and non-Romanised British, the north. I think the reason some scholars dislike or are at least dubious about the effort of Celtic enthusiasts to claim a unified culture is because the term originated as a linguistic tag, not necessarily a cultural one. And as you explore in your next post, sharing similar languages does not necessitate sharing a cultural, much less a racial, identity. The Celts that survive today are probably so far removed in descent from the original Celts that I am not surprised archaeologists balk at their attempt to create a simple and unified ethnicity. As a personal example, my fellow Americans are recklessly ready to identify themselves as “Celts” and “Irish,” because their ancestors came from Ireland several generations ago. My Welsh-Irish husband finds this ridiculous. But I often have to remind him that in the scheme of things, he is probably much closer to my American comrades in blood than to the ancient Celts. Interesting comment Christie. In terms of a unified celtic culture, given they were no nation states as we know them, the remarkable similarities in artifacts over the celtic areas pre and post roman empire indicate , at least, commercial,linguistic contact and similarities in belief systems, a sort of commonality. Also I agree people are right to be wary of the ethnicity question. What is a celt, what is a saxon? DNA generally proves we are all mixed. So this leads us to consider cultural and linguistic definitions. Which in themselves are a grey area. For example I worked in Michigan for a while and several times people claimed to be scottish/celtic , while maybe their ancestral DNA may have been from this part of the world their cultural references were American. This illustrates the complexity of defining ethnicity by fixed rules. Mind you it did lead to some great times. I remember one lady who claimed to be scottish and I asked when did her people come over “with the mayflower ‘ she said. I replied ‘ came early to avoid the rush did they?’ that got a laugh. I define myself based on the circumstances, nationality scottish, linguistically gaelic and scots speaker and culturally I like traditional stuff but I am big fan of Art Deco/Modernism and Motorhead and god knows what DNA is in me. I am a Celt, born in Manhattan. Males Celts carry a Genetic marker on their “Genome”. Recent studies made in Britain (a Celtic Name) of the Male Genome of Males with English Surnames show that 84 per-cent of English males with a “English” surname have a Celtic Genetic marker that signifies that that person’s male line progenitor was a Celt ! I would hope that such a study would be made on Scots Males with any Surname. You might be interested in this site: http://www.scotlandsfamily.com/dna-testing.htm . There are now markers for Pictish ancestry. Apparently the Brodies have a high frequency of these – they claim descent from King Bruide. Jack get off your high horse, Iain let you a link for further information or are you trolling?